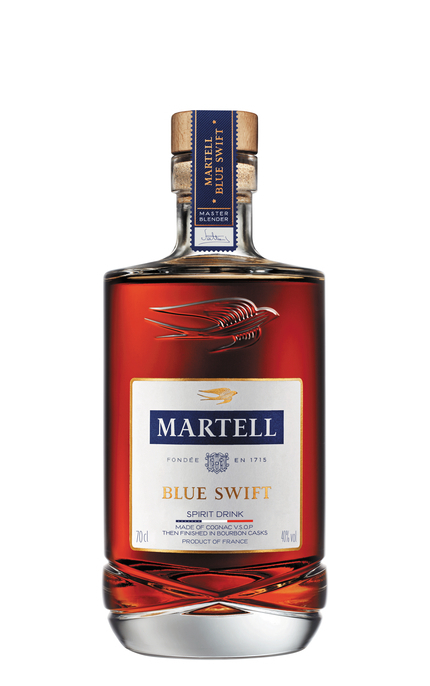 More telling is that Christophe also said that the level to which the bourbon barrels have been toasted (degree of charring) is key to the success of the finished “spirit drink” (AKA cognac) and that they experimented with barrels from numerous distilleries before finding those which gave the most harmonious result – a marriage of Martell’s fruity character with toasty bourbon vanillins. 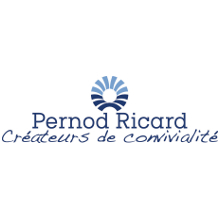 The question is, what exactly is that level of char? Why the name Swift? 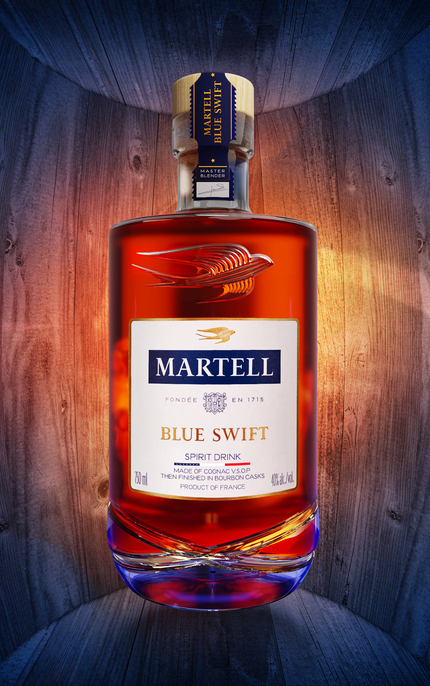 Well, a swift has been an icon for Martell for decades and it is particularly appropriate for this “spirit drink” as the swift is a bird that’s able to fly for days without stopping. It can traverse oceans such as the Atlantic. 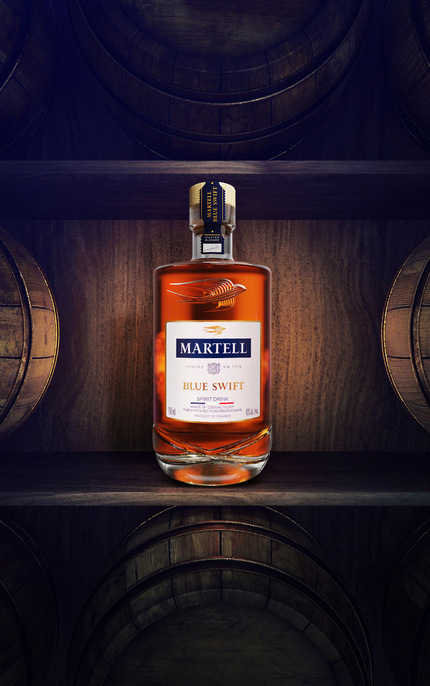 Incidentally Martell, whose brand colour is of course blue, was the first Cognac house to ship casks of its cognac to the United States in 1783. So, it’s kind of fitting that it is also the first Cognac house to ship bourbon barrels back in which to age its cognac. Prune, baked apple, crème brûlée, violet blossom, flambéed peach and toasted nuts. 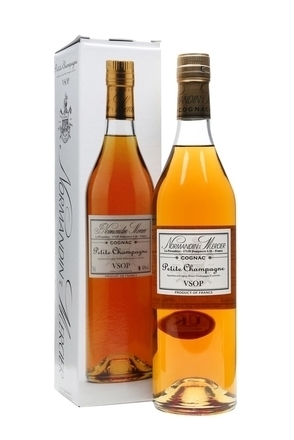 Toasty oak, baked apple, ginger spice, vanilla fudge, burnt caramel, sweet ripe plum and peach. Lightly spicy caramel and prune finish. Fades with baked apple pie and sweet peach. 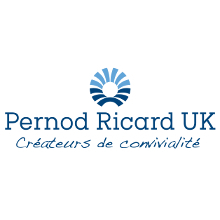 A ‘cognac’ finished in bourbon casks - bring on the mint juleps and Sazeracs - and if you do you’ll find the results are excellent. Indeed, Mattias Lataille, makes his excellent Classic Symphony, a Mint Julep inspired Sazerac, with 50ml Blue Swift, 5ml sugar syrup (2:1), 1 dash orange bitters, 2 dash Peychaud’s Bitters, 4 mint leaves and 1 lemon zest, stirred together with ice in a mixing glass and then served in a chilled absinthe rinsed glass (without ice). 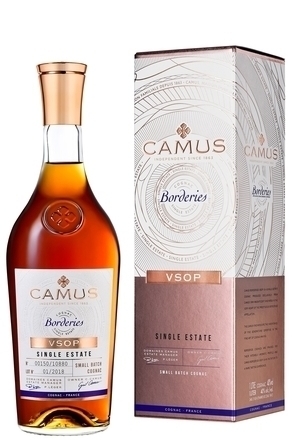 This is a cocktail ‘cognac’ rather than a sipping cognac, although it is balanced and quaffable with toasty oak, baked apple, ginger spice, vanilla fudge, burnt caramel and sweet ripe peach. 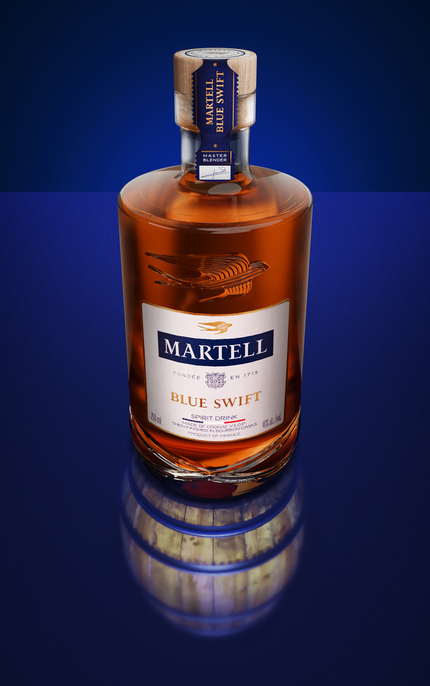 But more than that, Blue Swift is a “spirit drink” that dares to challenge the fusty bureaucratic rules of Cognac.